Colin, age 14, will be a freshman at Glenbrook North High School in Northbrook, IL. He began his piano studies at age 5 and is a student of Sueanne Metz. Seven months after Colin began piano, he started participating in competitions. He has won first place in numerous contests including the Music Festival in Honor of Confucius, the Sejong Music Competition, the North Shore Music Teachers Association Competition, and the Roberta Savler Contest. He also won second place in the New Music National Young Artist Competition. At age 7, Colin won first place in the International Youth Praise Festival and performed at the Kennedy Center in Washington D.C. The following year, he was selected as a winner of the International Chopin Celebration Competition and was featured in a concert at Carnegie Hall in NY. Colin made his concerto debut in 2011, at age 9, with the Oistrach Symphony Orchestra performing Mozart’s Concerto no. 23 in A major. His performance was broadcasted on WFMT 98.7 Chicago’s classical radio station. Since then, he has performed as a soloist with the Kishwaukee Symphony Orchestra and the Harper Symphony Orchestra. He was a first place winner in several concerto competitions, including the Walgreens National Concerto Competition, the Arthur Monzka Young Artists Concerto Competition, and the Emilio Del Rosario Piano Concerto Competition. Colin has also been a prize winner in several national and international competitions. In 2013, he won 3rd place and the best performance award for contemporary music at the Los Angeles Young Musician International Competition. In 2014, he won first place in the Aloha International Piano Festival in Hawaii. He was also chosen as the Illinois state winner in the 2014 Music Teacher National Association Competition. 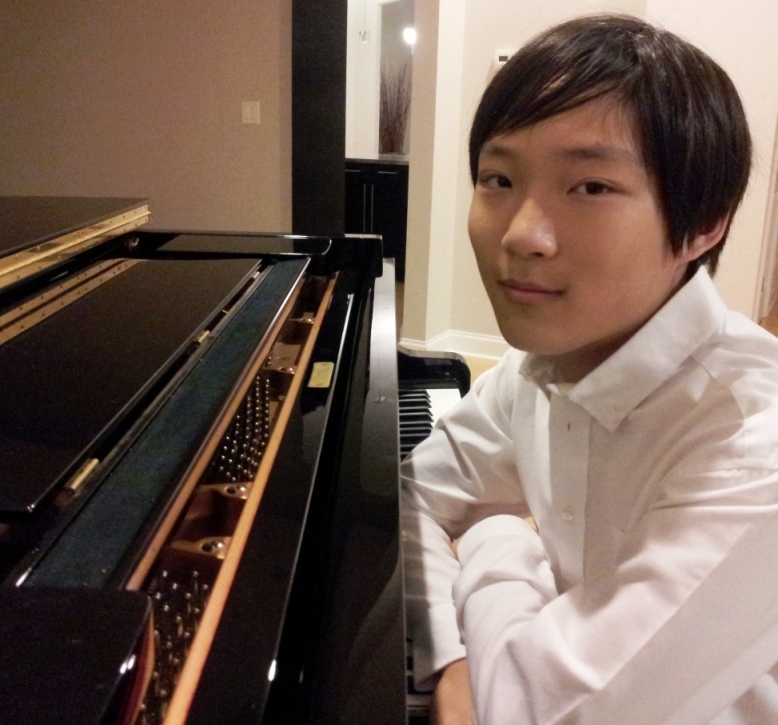 Most recently, he won first place in the senior division of the Chopin Youth Piano Competition in Wisconsin. Colin has made public appearances and given solo recitals at the Chicago Cultural Center, the Grand Piano Haus, the Women’s Athletic Club of Chicago, and the Young Steinway Concert Series at the Skokie Library. This coming fall, he will be participating in a Bach recital which will be live on WFMT 98.7.